What is a Tower Buster (TB)? A TB is a block of Orgonite with a single point quartz crystal in it and optionally some amethyst, hematite or garnet as available. The TB helps neutralise the harmful effect of DOR generated by mobile phone towers and disturbed earth vortexes. TB's must be positioned within 1/4 km of a tower or vortex to have an effect. For maximum effect, use in conjunction with an HHG. Place them around your home to form a protection layer. They can rest in pot plants, inder furnitures, on tables, in corners etc. They do not have to be visible and ideally you should place a HHG at, or near, the centre of your home. TBs also seems to also have an effect on plants, I have one in most of the pot plants in the house and buried in the garden, and they thrive. You will find more information on the Cloud buster forum about the use of the TB. If you need more strength, please look at the Nuke Buster page. These TB's contain one single point quartz crystal, some amethyst and tumbled hematite. 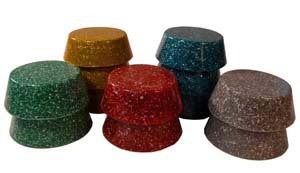 They come a pack of 10 in various colours for fun and protection. 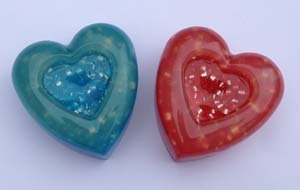 These Heart Busters contain a special combination of crystals and pattern for protection. They come as a pair in various colours for fun and protection. 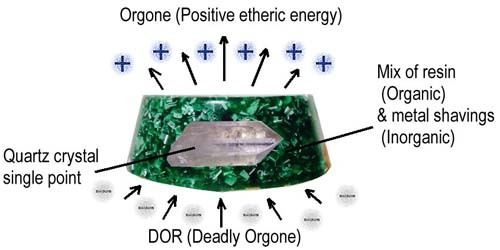 DOR (Deadly Orgone) is generated as a side effect of the Negative Green Vertical energy quality which rides on the back of the Electro Magnetic Energy (EMF). IT would have been relatively easy for modern technology to get rid of the nasty component of the EMF at the source, as demonstrated by Dr Karim in his Biogeometry science. However, either science does not know or blindly ignores this aspect of energy or even possibly uses it for its own purpose.